A lawsuit over an excessively hot beverage made headlines two decades ago. A 79-year-old woman spilled a cup of McDonald's coffee in her lap and suffered third degree burns. A jury awarded her millions in damages; since then, almost every major chain that serves coffee has been a defendant in a similar suit. In the McDonald's case, the coffee was brewed at 195 to 200 degrees Fahrenheit and then maintained at 180 to 190 degrees. This was consistent with the range recommended by the National Council of Chain Restaurants, but hotter than the temperatures some burn experts considered safe. The plaintiffs' attorneys argued that the high temperature was "unreasonably dangerous" and "inherently defective." 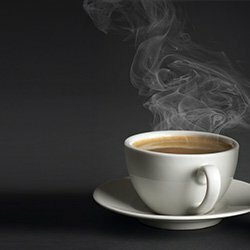 McDonald's currently serves coffee at 176 to 194 degrees. For approximately a decade, Starbucks has been selling coffee at 175 to 185 degrees. According to the Specialty Coffee Association of America, the standard serving temperature is 160 to 185 degrees. For a number of practical reasons, companies brew coffee and tea at temperatures that exceed the burn thresholds of skin, and beverage spills continue to send people to the hospital with scalding injuries. Much of the coffee served today is as hot or hotter than the coffee that led to the 1994 McDonald's lawsuit. Instead of lowering temperatures, companies place strongly worded warnings on their coffee cups. They also have worked harder to present expert witness testimony regarding their reasons for serving the coffee at high temperatures. In a 1998 case, Bunn-O-Matic, a manufacturer of coffeemakers, won a suit against it when the Seventh Circuit Court of Appeals unanimously held that 179 degrees was not "unreasonably dangerous.” New cases are continually filed, some involving hot chocolate and hot cider, with both the reasonableness of temperatures and the adequacy of warnings still points of contention. If you have been burned by a hot beverage, contact an experienced personal injury attorney to advise you about whether you have a viable case.